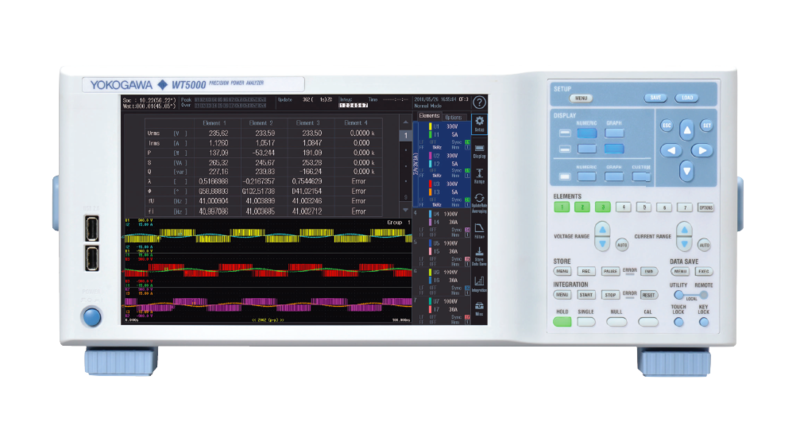 The WT3000 enables users to save the waveform data via two methods: waveform displayed data, and waveform sampled data. The number of data points saved by the waveform displayed data method is compressed to a total of 1,000 data points. Since the x-axis resolution of the LCD is only 1,000 points, the sampled data in the acquisition memory must be compressed Peak-to-Peak before it can be displayed on the LCD screen. Therefore, when FILE ITEM is set to WAVE in the FILE button menu, the WT3000 saves the compressed LCD data. The number of data points saved by the waveform sampled data method is max 4 million points. However. the number of data points will change based on the update rate setting set by the user. The data saved by this method is the sampled data in the acquisition memory that is not compressed. Therefore, when FILE ITEM is set to ACQUISITION in the FILE button menu, the WT3000 saves the sampled data before the data is compressed. Please note that any MATH channels must be turned off when saving the sampled waveform data. This is because the math data is displayed on screen as Peak-to-Peak compressed data.